Christmas is almost here so if you're still looking for some gift ideas, here's the next installment of my mini-gift guide! 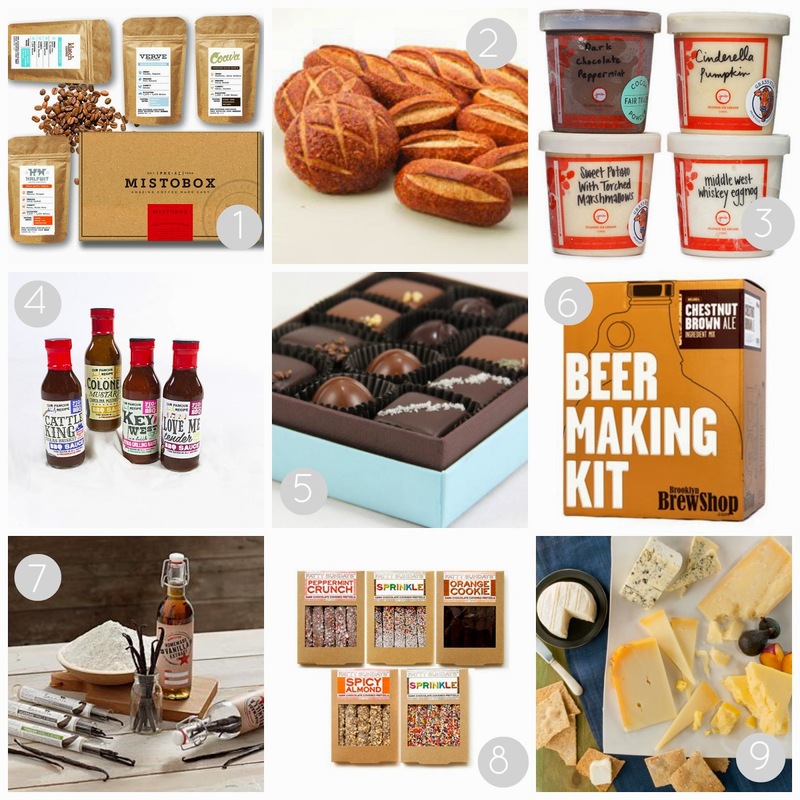 It's a round-up of edible gifts, which I think are perfect gifts since rarely will you buy it for yourself, but you always enjoy it. i love edible gifts - the perfect way to give someone a useful gift they love. i got my parents a subscription to mistobox last year and they LOVED it. I'm pretty sure that edible gifts are my favorites to give and get ... they're special (and like you said, something you won't get for yourself), but once they're gone, they don't take up any more space in the house. I love these gift idea posts! Thanks for the great ideas! oooo #9 is making my mouth water!